Step back in time to when Hanna’s Town served as the seat of government for Westmoreland County! Join us for reenactments of actual court cases heard at Hanna’s Town between 1773 and 1786 along with living history presentations, military encampments and demonstrations, activities for children, live music, food, and more! Live music by traditional Irish band Gallowglass and patriotic performance by singer Cathi Rhodes. 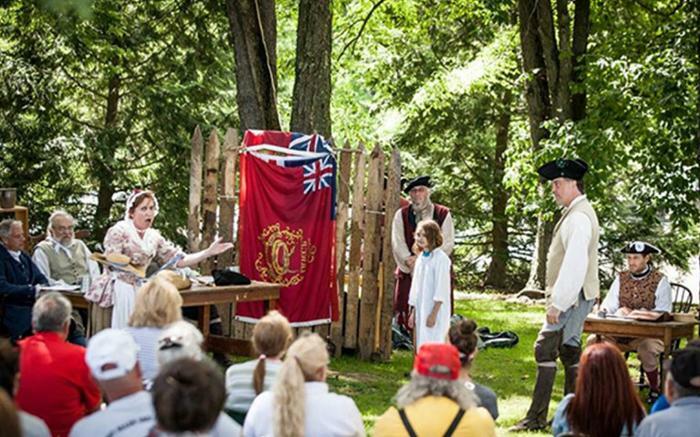 Children's activities at Frontier Kids station and new American Revolution-themed storytime. See our new Westmoreland History Education Center!